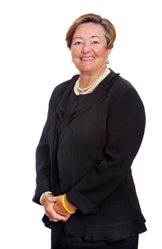 Lois Dyer Mann, Associate, has extensive executive search experience. Prior to her work with KBRS, she was a partner in an international executive search firm for more than 12 years. Lois’s career also includes Senior Vice-President, Corporate Communications Limited, Halifax, with leadership responsibilities for Public and Government Relations, as well as the national business expansion strategy. As Vice President Finance and Administration for 10 years at Mount Saint Vincent University, Halifax, she held responsibilities for the non-academic affairs of the University, was a member of the Board and its strategic committees, as well as a member of Senate. She has led a number of organizations connected to Law and its practice and was Commission Secretary on the Royal Commission on the Donald Marshall Jr. Prosecution. Lois is active in her community and has contributed her time to numerous boards and committees. She completed a four year commitment as a founding Director of the 2011 Canada Winter Games Host Society, Halifax, where she helped create a community Board of Directors and then chaired the Governance and Human Resources Committee; recently completed two terms as a Director of Nova Scotia Business Inc., where she Chaired the Governance and Human Resources Committee and is a Director of the Chester Arts Centre. She recently served on the Capital Campaign Committee of Project Twenty 12, the campaign for Mount Saint Vincent University. She is a former Director, Girl Guides of Canada/Guides du Canada; Past Chair, Halifax Chamber of Commerce; former Trustee of the IWK Health Centre Foundation; former Co-Chair Major Gifts and member of the Capital Campaign Committee, QEII Health Center Foundation; Past Chair and former Director of Trade Center Limited; and Chair, Selection Committee of the first Lieutenant- Governor’s Leadership Forum for Women. She has been an adjudicator of the Ernst and Young Atlantic Canada and National Entrepreneur of the Year Awards, and a Director and Adjudicator of Junior Achievement Nova Scotia and its Business Hall of Fame Awards. She has also had experience adjudicating disputes for Canada’s Human Rights Commission. Lois is a recipient of Canada’s 125th Anniversary Medal. Lois is a graduate of Dalhousie University with a Bachelor of Arts degree (B.A., 1970), and from the Dalhousie University Law School (LL.B., 1973). A former member of the Nova Scotia Barristers Society, Lois lives in Chester, NS.